The chairman of the Bougainville Education Board, MICHAEL PEARSON and ABG Minister for Education, THOMAS PATAAKU today welcomed teachers and students throughout Bougainville to the 2019 academic year. Speaking live on New Dawn FM the two leaders said that they were happy that all schools throughout Bougainville started last week with students in Primary School joining the rest of the Schools this week. They said that the standard of education has improved throughout the years with greater results in exams last year. 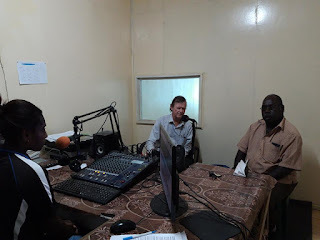 They said that they would like this year 2019 as another successful year for Bougainville Schools. The Minister said that Education was the priority of the Government but parents must make sure all their school aged students are in school not baby sitting at home. And the Board Chairman said no Teacher should send home students for not paying their school fees.